The National Center for Education Statistics estimates that in the Fall of 2017, 20.4 million students enrolled in a college or university in the United States. According to the College Board, the average tuition for a private college in 2017/18 is $34,740, and between $9,970 and $25,620 at a public university. Those numbers are daunting, especially for families who have not saved or planned for the rising cost of higher education. There are numerous options available for families to save for college, but understanding the differences between them can make a big difference when the time comes to write that first tuition check. Like their cousin the 401(k) plan, a 529 plan is tax-advantaged savings program that allows families save for future tuition costs. Each individual state or state agency sponsors 529 savings plans, so unlike a 401(k) plan there is no uniformity of the tax benefits and they are not federally insured. Contributions are made with after-tax dollars and the investment earnings grow tax-free. Current regulations state that distributions are not taxed when the proceeds are used to pay college tuition. Most plans allow for automatic contributions, so you can set up deposits according to your personal preference. 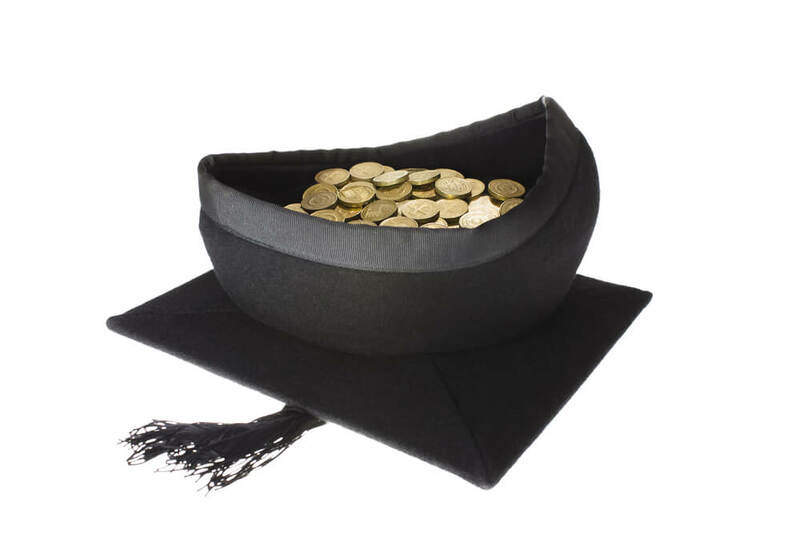 Some of the drawbacks of 529 plans include limited investment allocation changes and restrictions on what is considered a qualified education expense. Not to be confused with a 529 plan – despite the catchy name – U-Promise is a program that works in partnership with Sallie Mae to help families and individuals earn money toward education expenses, much like affinity credit cards help you earn points for travel or cash-back rewards. With over 17 million members and $1 billion earned for college funds, U-Promise is a viable option for many people. However, because it is tied to spending, not saving, it can sometimes feel like sideways move rather than a disciplined financial goal. Custodial accounts such as UGMAs and UTMAs are not specifically designed for college savings, but they can be tax-advantaged ways to put money away for educational expenses. These types of accounts are owned by the child with the adult donor as the custodian, so the assets may impact the student’s qualification for financial aid if and when they apply. Some colleges and universities allow prepayment of tuition at current rates for students who will attend in the future. Considering that tuition has increased an average of 3.2% per year for the past 10 years, according to College Board, Annual Survey of Colleges, prepaying at today’s rates may seem like a viable option. However, this limits a student’s options when it comes to applying to different schools. Some schools, like Dartmouth College in Hanover, New Hampshire, allow parents to pre-pay four years of tuition at the current rate upon matriculation. Saving and paying for college can be overwhelming. Mooney Lyons is here to help. Our professionals will work with you to understand the different options and find strategies and programs that are consistent with your values. Call our office today at 847-382-2600 to set up an appointment. Our goal is to educate you so you can pay for your child’s education. Content is this material is for general information only and not intended to provide specific advice or recommendations for any individual. Prior to investing in a 529 Plan investors should consider whether the investor’s or designated beneficiary’s home state offers any state tax or other state benefits such as financial aid, scholarship funds, and protection from creditors that are only available for investments in such state’s qualified tuition program. Withdrawals used for qualified expenses are federally tax free. Tax treatment at the state level may vary. Please consult with your tax advisor before investing.